Thom Rainer is the president of LifeWay bookstores, the publishing arm of the Southern Baptist Convention. He has written several highly insightful books for church leaders, such as The Millennials, Evangelism and Church Growth: A Practical Encyclopedia (with Elmer Towns), Effective Evangelistic Churches, etc. 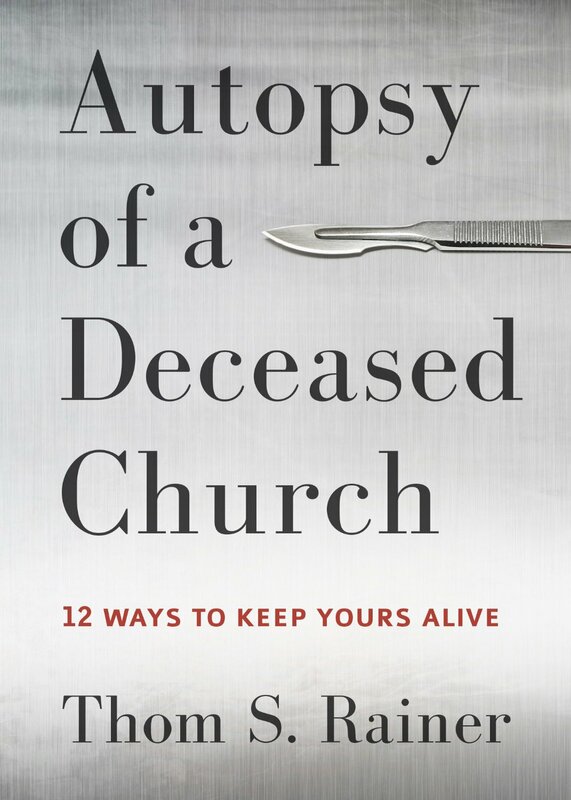 In Autopsy of a Deceased Church, Rainer examines several churches that got sick, very sick, those dying, and those that finally died and had to close their doors. He goes into all the reasons why this occurs, finding common denominators along the way. In finding the problems, Rainer highlights the opposing solutions. Rainer is repetitive: the main problem is that sick and dying churches, which comprise 90% of the churches in America (p. 86), DO NOT DO EVANGELISM OR ANY COMMUNITY OUTREACH ACTIVITIES. CHAPTERS 1-4 detail that dying churches have elders who are spiritually, and evangelistically complacent: apathetic about Hell and the lost in their communities. They see their church as a social club, or a family, and all their church events are about and for themselves. And as Haggai 1:9 says, “My house still lies in ruins, while each of you is busy with his own house.” Years and years of church going desensitizes the members to the decline in attendance, the decline of evangelistic fervor, and decline of spirituality. The present is not regarded as something spiritual: the past always is. Prophecies and the voice of God are not guiding the people. Proverbs 29:18: “Where there is no vision, the people perish.” Rather than seeking to save souls from Hell in their communities, the elders, the church board, the church voters, will quarrel over church styles–regarding church music styles, worship styles, the protocol of the church bulletin, church building styles, the scheduled time of the Sunday service, memorial pews and special rooms, sound systems, overhead projector screens in church, casual church clothes vs “Sunday best,” etc (pp. 20, 22), and really being against anything up-to-date and contemporary, anything not from the past, or which is traditional. Talk about straining out a gnat to swallow a camel! (Matthew 23:24). Their communities are dying and going to Hell–and they are worried about a pew! Mark 7:13: “You nullify the Word of God by your tradition that you have handed down. And you do many things like that.” Pharisee spirit. Rainer doesn’t mention the word “Hell” even once in his book; he just uses the word “gospel” and “outreach.” I wish he could have been a bit clearer here: what’s the motive? More church members? Or rescuing souls from an eternity in Hell!? CHAPTERS 5-8 detail the great error of how dying churches misuse their money: rather than spending it on the Great Commission or giving to the poor (Matthew 28:19-20; Mark 10:21-22), like Jesus said–they ONLY spend it on themselves, for their church staff, their building, and various social events for themselves. This is not due to ignorance, but evangelistic rebellion against God’s Word: “The deceased church, somewhere in its history, forgot to act upon the Great Commission…Perhaps it is more accurate to say the church ‘decided’ not to act upon Christ’s command…Obedience to the Great Commission faded; it usually faded gradually…They chose their own comfort over reaching others with the Gospel” (pp. 41-43). There is no welcome place for evangelists in the local church to reach out to the community. Instead, as was previously mentioned, the vain church leaders bother themselves with mere trifles, while everyone else is dying and going to Hell: trifles such as church service times, the music style, the length and order of the Sunday service, the designs and colors of various buildings and rooms in the church, self-centered programs and activities and events, more church staff, etc. Jesus said in Matthew 7:1-5: “Do not judge, or you too will be judged. For in the same way you judge others, you will be judged, and with the measure you use, it will be measured to you. Why do you look at the speck of sawdust in your brother’s eye and pay no attention to the plank in your own eye? How can you say to your brother, ‘Let me take the speck out of your eye,’ when all the time there is a plank in your own eye? You hypocrite, first take the plank out of your own eye, and then you will see clearly to remove the speck from your brother’s eye.” This is what Jesus meant when He taught on judging. Pharisaic people squabbling over mere trifles, while there are lost sinners all around them on their way to a burning Hell!! And what’s worse is they add this to their sin: they would rather criticize and condemn these lost sinners around them than preach the Gospel to them and invite them to their church! Hypocrites! Also, their opposition to Christian rock and contemporary praise and worship music, like Hillsong music–does not help, but only hurts their influence with the younger generations, such as Generation X and the Millennials (my generation: born 1985 and on). Jeremiah said, after Jerusalem had been sacked by the Babylonians, that this was one of the things he sorrowed over in Lamentations 5:14-15: “The young men have stopped their music. Joy is gone from our hearts; our dancing has turned to mourning.” Old men are not supposed to lead praise and worship–YOUNG MEN are…with THEIR MUSIC! That’s in Scripture! Hymns are great and good and should continue to be studied and sung with reverence…but let the young men lead, let them spice up the hymns with their music styles, albeit with reverence and holiness. Regarding dying churches and their pastors–they have a long standing cycle of short-term pastors, who only serve about 2-3 years before they are fired or leave. The church board is resistant to changes that need to be made–changes that they initially asked the pastor to call for. Conflict occurs; then there’s a church vote. Pastors have no job security…many pastors experience this at so many churches, that they get tired of the game, and they quit the ministry totally out of discouragement. Once again the church board gives into a spirit of apathy, complacency, lukewarmness, and no evangelism. Such people will be spit out of the mouth of Christ (Revelation 3:16). CHAPTERS 9-11 underscore what dying churches find themselves preoccupied with, or distracted with, as idols, from the Gospel of Jesus Christ. Unlike in Acts 2:24, these dead churches never had any fervent prayer meetings filled with intercession for the lost. Rather, if they had Wednesday night prayer meetings at all, it was a dry ritual where they would pass out a prayer list, and afterwards have a fellowship meal. 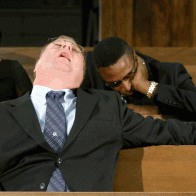 Church became meaningless and without any sense of purpose: What’s the point? became the attitude. Going through the motions, religious routine, playing the church game, complacency. No zeal to preach the Gospel to the lost at all; not Gospel-centered, and not Gospel-driven. Rainer says: “A church without a Gospel-centered purpose is no longer a church at all” (p. 75). 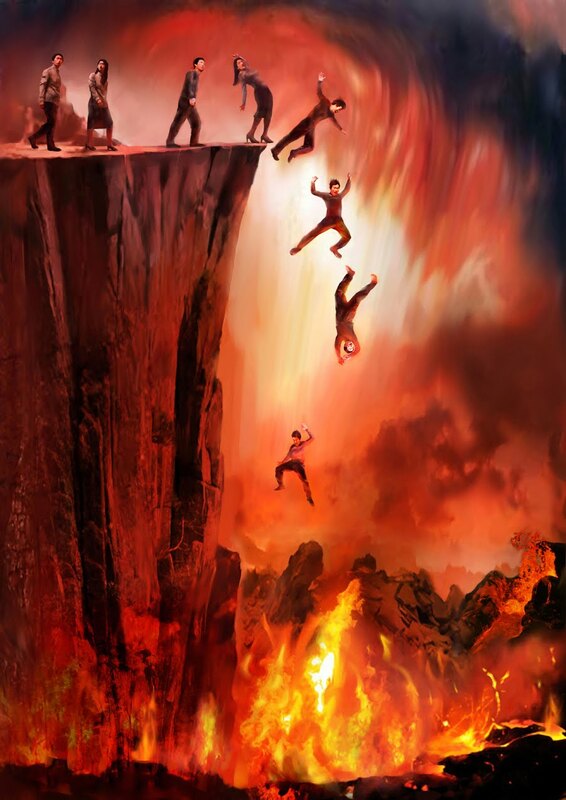 They are not Hell-conscious and not eternity-conscious. It’s no wonder why so many churches don’t even have crosses decorating them. While thousands of souls in their cities are dying in hospice, being cast into “the mighty damnation which lasts to eternity”–silly old church ladies are debating over such petty things as tea parties and bridal chambers (p. 78)–what sorts of doilies and chairs, and who shall be permitted to use these privileged rooms? WHO CARES! I’d rather these careless hypocrites go to Hell and every pauper in the area get converted and take over the church! And Jesus thinks so too: “Truly I tell you, the tax collectors and the prostitutes are entering the kingdom of God ahead of you” (Matthew 21:31). 1. Acknowledge that their church is sick, and dying, and needs to change. 2. They need to be willing to obey any Biblical directions their pastor would give them for positive change and improvement. 3. They must start witnessing in their community to the message of salvation in Christ (Acts 1:8). 4. They must refuse to just keep to themselves as a church clique. 5. Outreach and evangelistic church events need to be geared not only towards bringing new people to the Sunday services, but also towards converting them soundly. 6. Allow new godly people from the local area into the church and have a voice and influence in the church. E. B. Pusey, What Is of Faith as to Everlasting Punishment? (London: James Parker & Co., 1880), p. 57.